Your horse deserves a little TLC! This site isn't about ordinary, general horse care. YOUR horse, and ALL horses, deserve more than basic care. Having a horse is so much more than having something to ride. Horses aren't bikes afterall! Horses are sensitive, powerful and vulnerable animals, full of spirit and grace. They deserve to be treated with honor and dignity! I'll also be inviting you to share with me, and other visitors to the site, your best tips, inspiring horse stories, horse games, horse book reviews and much more! After all, I'm always on the lookout for ways to make my horses' days happier and healthier! Horses give us so much, without ever asking for anything in return. As horse owners it's up to us to take the extra time and go the extra mile for them! So...head on out to the pasture and give your equine friends a little Tender Loving Horse Care! 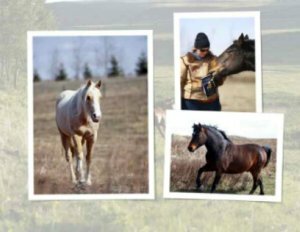 The Tender Loving Horse Care Blog keeps you up-to-date with all the latest updates to the Tender-Loving-Horse-Care.com Web Site. Subscribe here. Horse Care Tips! The best horse hoof care and your Number 1 tips! Discover and share valuable horse care tips! Help make horses everywhere healthier and happier! Natural Horse Hoof Care for Your <br>Natural Horse! Laminitis, founder, barefoot trimming, mustang rolls, dealing with abscesses and more! There are SO many kinds of horse riding tack. Tender Loving Horse Care helps you consider all the options, and make the best tack choices for you and your horse! Horse care equipment. From automatic horse waterer to manure fork to barn boots. All the best information about horse care equipment in one convenient location! Make caring for your horse easier, and find out what horse care supplies you need! Essential horse grooming supplies and horse grooming tips for every horse owner. Horse grooming is a key part of your horse care routine! Tender Loving Horse Cares collection of horse book reviews contain information on the best books on horses, training a horse, horseback riding, natural horse care and more! Tender Loving Horse Care is a place for me to share the many lessons we've learned ~and continue to learn~ about horse care, horse health, and making a difference in a horses lives. Tender Loving Horse Care Contact Page. Send Lisa a message if you have any questions, comments or concerns about the site. Thank you. The bitless bridle. Is your horse ready? Going bitless is more than just taking out the bit. Learn what horse laminitis is and how you as a horse owner can help prevent and treat it. Caring for a horse with laminitis takes time, love and patience. Hoof Abscess, Natural hoof care for horses can help! Does your horse have a hoof abscess? Information on symptoms, treatment and prevention of hoof abscesses and natural horse hoof care. Tender Loving Horse Care Disclaimer. This is a legal disclaimer page for the Tender Loving Horse Care website.